I don’t write here much anymore. Back in the day, I was practically fanatical in my rapid pace of authoring some sort of missive, sharing my perspectives on faith, Messiah, Judaism, and the people of the nations of the world. Well, it got to the point where I felt I said everything I had to say. After all, I’m not a professional theologian. I haven’t been to school for this sort of thing, and have no special training beyond what any layperson in a faith community would have access to. I’m just a guy with an opinion, and believe me, there are far too many of us in the blogosphere, religious or otherwise, as it is. However, yesterday, I had an interesting conversation with my friend Tom. I see Tom on Sunday afternoons every other week unless one or the other of us has another commitment. Tom suffers from Amyotrophic Lateral Sclerosis or ALS, sometimes called “Lou Gehrig’s Disease.” He is a man of great faith who, at least when I’m present, faces his ailment with remarkable courage. Many years ago, I ceased attending my local Messianic community (which subsequently disbanded) because I was in a position of leadership and teaching, and as my understanding of my faith and its Biblical foundations evolved, I came to realize that what I had been teaching was pretty much dead wrong. I also realized I had no business teaching anyone anything because I was totally unqualified. The people I worshiped with didn’t seem to mind one bit and said they enjoyed what I was teaching, but as a matter of conscience, I couldn’t continue. For a lot of reasons I won’t mention here, I eventually started attending a small, local Baptist church. Just about everyone was nice, and the head Pastor took a liking to me, even to the point of having one-to-one meetings with me almost every Wednesday evening. But in the end, he was trying to convince me to become a good Baptist, and I was trying to convince him of the centrality of corporate Israel in God’s plan of redemption, that the Jewish people remain under the Sinai Covenant, and that the New Covenant, which for the past twenty centuries, has just been peeking through the door at the faithful, so to speak, is merely the writing of Torah on the hearts of Israel, rather than throwing the Five Books of Moses and the writings of the Prophets out the window. We parted company, and in the years since, I haven’t heard anything from him or anyone else at church. I’m pretty much a lone wolf these days, reading, studying, and worshiping privately. So when my friend Tom, who does keep in touch with local, long-term members of the Messianic community, told me there were currently a total of seven “Hebraic” faith groups in our area, I was intrigued. Not enough to sample them, which would complicate matters, including my home life, but I was interested in hearing more. He mentioned a couple who I’d met years ago, and how they had formed their own group. He also mentioned a schism in that group, which happens with some regularity in many of these collectives, but this one was interesting. I guess the problem started with a woman, who is a very intelligent and well-educated mathematician, and who also became a very strict Bible-literalist, as well as a King James Bible only proponent, believing all other translations of the Bible from the original languages into English are bogus. The most startling revelation was that she also is a Flat Earther. I was stunned. Supposedly, she dismisses all of the evidence that we live on a globe as conspiracy theories, fake news, faked photographs, and such. This is quite surprising coming from a mathematician, but there are generally two areas of human understanding where dogma and belief seem to outweigh facts in most cases: politics and religion. When you enter those realms, faith and devotion to a set of beliefs, and in many cases, a charismatic leader figure (political or religious) trumps the facts (no pun intended). The head Pastor at the church I once attended was something of a Bible literalist but not to such an outrageous degree. We live in an observable universe which, to the best of our techniques and our technology, we can objectively examine and re-examine using the scientific method. All that said, as a person of faith and a rational, (hopefully) intelligent, and educated human being, I believe that the objective universe and the Bible cannot conflict, because in the former case, the universe was created by God, and in the latter case, our Holy writings were inspired by the same God (inspired, but not authored…it’s complicated). I know atheists who would jump all over me at this point, citing multiple inconsistencies between Biblical text (which they read in English and with little or no background in solid hermeneutics) and what we know about the universe around us. 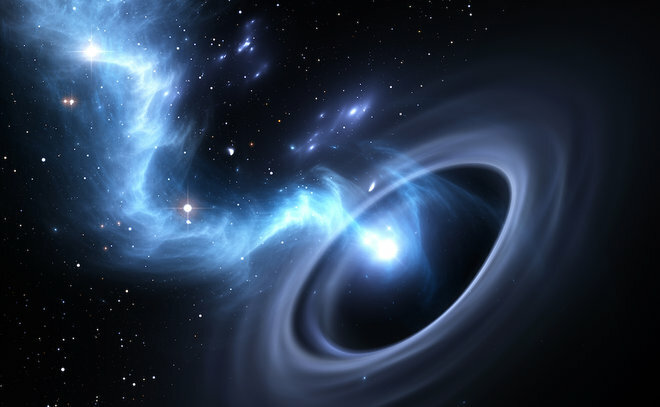 As far as how we understand scientific knowledge about some phenomenon, let’s consider black holes which are the end products of stars over a certain mass (our sun doesn’t quality and will eventually become a white dwarf star). Albert Einstein first predicted the existence of black holes in 1915, and when I was taking astronomy classes in the mid-1970s, I was taught a certain set of (then-known) “facts” about black holes. The late Stephen Hawking revolutionized our current understanding of black holes, and even more recent studies indicate that perhaps he didn’t get it quite right. 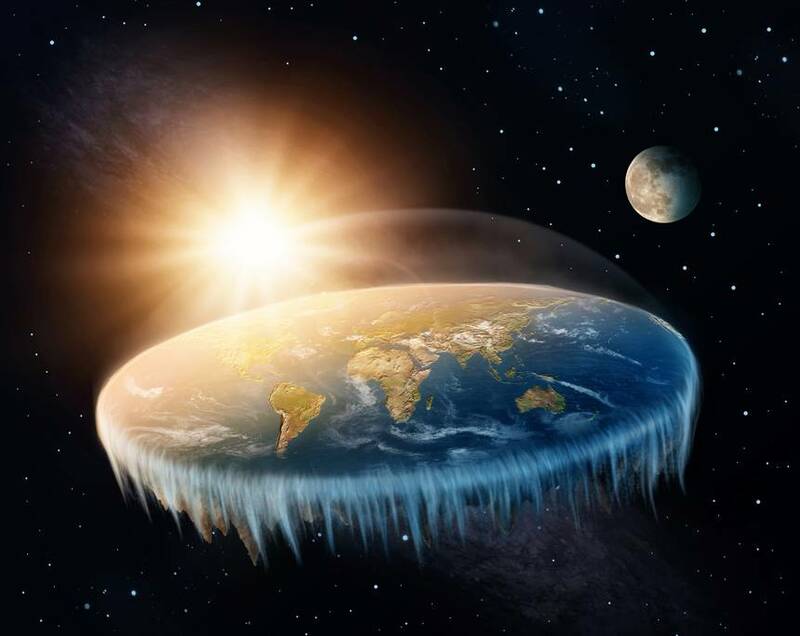 However, if studies and experiments are unbiased (and remember, federal government grants fund an awful lot of scientific studies), the results, given the limitations of our tools and our understanding, should be taken as fairly reliable, which is why I believe the Earth is a sphere and not a flat dinner plate. My understanding of the history of God’s interactions with human beings tells me that He encounters them/us in all manner of circumstances including worship contexts, which means that the Catholic Church, Seventh Day Adventists, or any other body of worshipers is NOT the one and only “true church” rendering every other congregations of believers invalid. Just look at how much the early worshipers of Christ during the lifetime of the apostles gathered, their praxis, and their prayers differ from most if not all church communities today. But as I said before, politics and religion are areas where people seem to feel free to leave their brains at the door and rigidly adopt perspectives that are sometimes wildly outside of reality (to the best of our ability to understand said-reality). The Earth is not flat, the KJV Bible is merely the first biblical text that was translated from ancient Hebrew, Aramaic, and Greek into (now archaic) English and widely disseminated, and science does not disprove God. Surprised at that last one? How can I say that? There are entire volumes published on trying to answer that question, but let’s briefly consider the nature of God. God creating all of timespace, everything we can observe about the universe and everything we can’t, is like me writing this blog post or drawing a sketch. The creator, by definition, cannot be dependent upon the creation. Of course, God can choose to interact with human beings, and His “interaction” with Mount Sinai in Exodus 19 attests that He can physically affect geography, in this case burning the top of the mountain to ashes. How He does this no one knows, which is why we call it a miracle. We can observe, again to the best of technology and methodology, everything inside of the universe, but God is not in the universe, which is why whenever people attempt to experience God outside the context of prayer, they turn to arcane mysticism, which is a topic all its own. In a nutshell, this is why I believe the Earth is a globe, we’ve put men on the Moon, we have populated Mars with human-made robots, and that God is real. Understanding God, the Bible, and coming to faith isn’t something that happens in an instant and then the religion is “settled.” Yes, people can come to faith in a single moment, but for most of us, it’s a sometimes long process of exploration. It’s one that I haven’t finished yet, and I probably won’t until the day I die. Just like scientific study, the study of the Bible, and evolving in a life of faith is ongoing, and just like science, it is a never ending process. In both circumstances, we largely accept many things about reality because we have to live and interact in the world without constantly confusing ourselves. We have “faith” in the conclusions by which we operate in a day-by-day life, both scientific conclusions and Biblical conclusions. But none of that means we know it all. The minute we stop asking questions is the minute we become ignorant, uninformed, dogmatic, rigid, and out of touch with the realities of the universe and the Bible. In the case of the “Flat Earth” lady, she believes in a certain, rigid understanding of the Bible that contradicts observable reality. In some other person’s case, they believe in a certain, sometimes rigid understanding of science, and that all of its conclusions are absolute and final, without considering realities that exist beyond the timespace continuum, and that can only be realized metaphysically. The best we can do in understanding both an infinite God and a finite universe is by looking “in a mirror dimly,” a highly distorted and limited set of lenses, because we ourselves and all of our tools and understanding are limited by design. I’m very grateful for my relationship with Tom and our regular conversations. He has a brilliant mind and a compassionate heart. He is a good friend and an excellent role model for a man of faith. As David wrote in Psalm 23:3, I think God uses him to restore my soul. Antignos of Socho received the tradition from Shimon the Righteous. He would say: Do not be as slaves, who serve their master for the sake of reward. Rather, be as slaves who serve their master not for the sake of reward. And the fear of Heaven should be upon you. Back to Stern’s statement: replacing “tradition” with “interpretation” we could rewrite it to say: “There could never have been a time when interpretation of some sort was not a necessary adjunct to the written Torah.” Tradition claims legitimacy by appealing to the past for its authority, and is independent of scriptural anchoring; interpretation does not look to the past for legitimacy, but rather seeks an anchoring in the text itself. 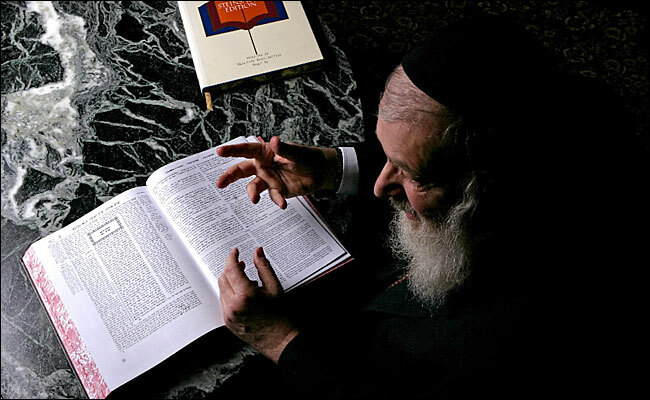 One dispute among the rabbis is whether certain halakhot were actually derived exegetically or whether they were an independent revelation. I’m dabbling into somewhat dangerous waters by invoking commentary written by Rob Vanhoff of TorahResource.com since typically, my theological orientation and Mr. Vanhoff’s (and his employer Tim Hegg) are not entirely compatible (I say that as an understatement). But in reading Mr. Vest’s and Mr. Vanhoff’s dialog and then commentary from the book Pirke Avot: A Modern Commentary on Jewish Ethics, I started to ponder the relationship between interpretation and tradition in both Christianity (which includes the Hebrew Roots movement in my opinion) and Judaism (which I believe includes Messianic Judaism). I should note at this point that I’m not writing this to challenge either Mr. Vest or Mr. Vanhoff (or Mr. Hegg). I’m not attempting to enter into yet another “I’m right and you’re wrong” debate. I just want to point out that, from my point of view, how we interpret the Bible is based on our traditions, both within Christianity and Judaism as I’ve defined them above. The existence of the oral tradition is alluded to in the Written Law in numerous places. The Torah says: (Deut. 12:20) “When G-d expands your borders as He promised you, and your natural desire to eat meat asserts itself, so that you say; ‘I wish to eat meat’, you may eat as much meat as you wish… you need only slaughter your cattle and small animals… in the manner I have commanded you.” Nowhere in the Written Torah is such a manner described. So what is the manner in which we are supposed to slaughter cattle? Though the laws of slaughtering cattle are not explained in the Written Torah, they are described in detail in the Oral Law. But Hillel knew that the man wanted to do the right thing. He simply didn’t understand the purpose of the Oral Torah. So he began to teach him the Aleph Bais (Hebrew alphabet). The first day, Hillel the Elder taught him the first two letters, aleph, and bais (aleph and bet, for those who speak the Sefardic dialect). So it is clear that an Oral Tradition is needed, and that one exists. Moses received the Torah from Sinai and gave it over to Joshua. Joshua gave it over to the Elders, the Elders to the Prophets, and the Prophets gave it over to the Men of the Great Assembly. They [the Men of the Great Assembly] would always say these three things: Be cautious in judgement. Establish many pupils. And make a safety fence around the Torah. Was there an Oral Law given to Moses by Hashem in parallel to the Written Law (Torah), and was that Oral Law passed down, generation by generation, in an absolutely unchanged manner, from Moses to Joshua, from Joshua to the Elders, from the Elders to the Prophets, and then from the Prophets to the Men of the Great Assembly, eventually being codified and making its way to modern Judaism? It seems like a long shot, given that even the written Torah had “gone missing” for quite some time. When they were bringing out the money which had been brought into the house of the Lord, Hilkiah the priest found the book of the law of the Lord given by Moses. 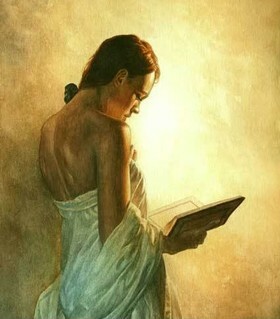 Hilkiah responded and said to Shaphan the scribe, “I have found the book of the law in the house of the Lord.” And Hilkiah gave the book to Shaphan. Then Shaphan brought the book to the king and reported further word to the king, saying, “Everything that was entrusted to your servants they are doing. They have also emptied out the money which was found in the house of the Lord, and have delivered it into the hands of the supervisors and the workmen.” Moreover, Shaphan the scribe told the king saying, “Hilkiah the priest gave me a book.” And Shaphan read from it in the presence of the king. The preservation of an unchanging Oral Torah across hundreds if not thousands of years would require that God sustain the Oral Law as He has the Written Law. I suppose it would make more sense to say that Oral Law as it’s conceived of in modern Judaism is the grand compilation of traditions that have accumulated over the centuries, but were not all given originally to Moses (if any of them were). Can you explain why laws never seem to revert back to their original form? For example, some holidays are two days outside of Israel because of the difficulty with keeping time hundreds of years ago, which has since been resolved. Simply put, customs have the import of law since the Torah itself recognizes them as law. That makes sense, because the basis of Torah is not the book, but the people. How do we know the Torah is true? Because the people witnessed it, accepted it and passed down the tradition. So without tradition, we have no Torah. Of course the belief that the Oral Law as it exists in Judaism today originated as a complete body of knowledge with Moses at Sinai is also a tradition and as such is considered factual, at least in Orthodox Judaism. Now I admire the refined skill-set of a good kosher shochet, but what Dr. Stern sees as “evidence” for “oral Torah” from Deuteronomy 12:21 (כאשר צויתיך) is for me simply a pointer to what Moshe states elsewhere concerning slaughter: pour out all the blood, cover it with earth, don’t consume it, etc… I’m definitely a minimalist in this regard. Let’s keep in mind that the art of midrash (be it halakhaic or aggadic) consists first of positing a textual ‘gap’ and second of filling it! 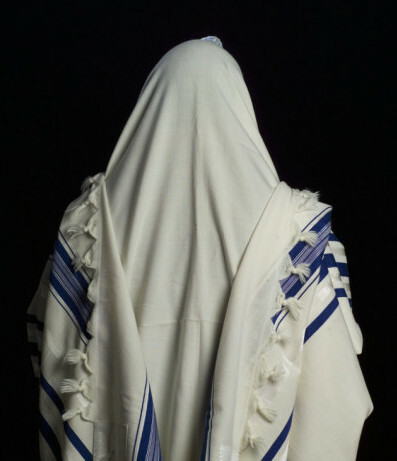 Hashem said to Moses, saying: “Speak to the Children of Israel and say to them that they shall make themselves tzitzis on the corners of their garments, throughout their generations. And they shall place upon the tzitzis of each corner a thread of turquoise wool. It shall constitute tzitzis for you, that you may see it and remember all the commandments of Hashem and perform them; and not explore after your heart and after your eyes after which you stray. So how do Jewish men know how to tie tzitzit (keeping in mind there’s more than one tradition on how to do so)? Who taught the Jewish people the specific method of obtaining the blue dye to color the “thread of turquoise”? There is nothing in the (written) Torah describing how this is done, so how did Moses teach the Children of Israel how to observe this mitzvah? Is it possible that Moses had conversations with Hashem that were not recorded in writing? Was literally every second of every transaction between Moses and God put down in writing? Probably not, otherwise the Bible in written form would be too large to carry. But that’s supposition on my part. Still, I must admit that there are more than a few commandments in Torah where there is no written instruction for how to observe them. Does that mean the Oral Law as it’s understood today is exactly as it was or may have been given to Moses at Sinai or later during the forty years in the desert? From a human point of view, this seems doubtful, but if an Oral Law also comes from God, then nothing is impossible. The Bible is the most authoritative element of Judaism. But it is not the only one. Just as it had been preceded by tradition, so was it soon followed by tradition, the “Oral Law,” which strives to penetrate into the essence of the Bible’s written word. The Oral Law strives to apply the teachings of the Bible to all the events of existence; to provide religious and moral standards for all of life’s activities; and to realize the Bible’s teachings in the whole Jewish community. 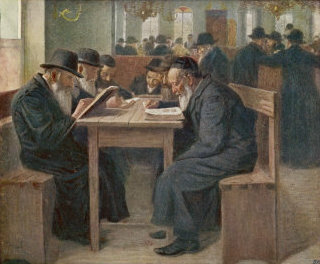 This tradition, which was ultimately established in the Talmud, had at first to fight for recognition; subsequently, it too became a conservative factor in Jewish religious life. 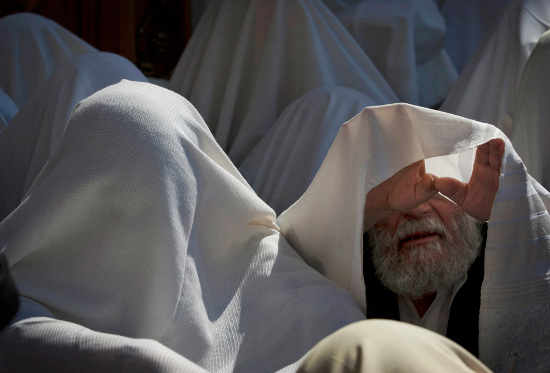 In Judaism, tradition is what tells a Jew what the Bible means. In Christianity, as Mr. Vanhoff states, a systematic method of interpretation does the same job. 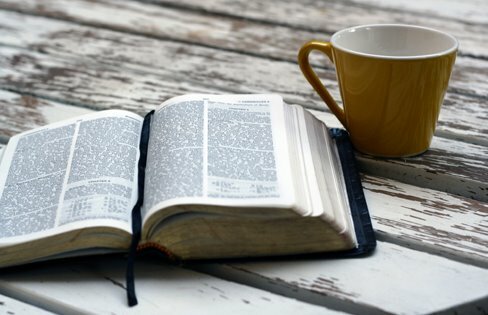 Almost a year ago, I wrote a blog post called Does the Church Interpret the Bible Based on Traditions. I’ll save you the trouble of reading the whole thing and give you the answer here: Yes! In fact, I believe that every branch of Christianity, including all versions of Hebrew Roots, interpret the Bible based on some overt or covert set of traditions that transcend any “scientific” method of Biblical hermeneutics. I know I’m going to receive a significant amount of push back for making that statement. I know that many scholarly arguments can be leveled against me, showing me that Protestant Christianity and Hebrew Roots (they have more in common than you might imagine) use totally objective means by which to determine the true and factual meaning of the Biblical text. Except if that were true, then I don’t think we’d see such dissonance between the pro-Jewish people and pro-Israel words of the Bible including the Apostolic Scriptures and the nature and function of the New Covenant, and how modern Protestant Christianity refactors the Bible to minimize or delete the role of Jews and national Israel in God’s redemptive plan for the world. Much has been made of Martin Luther and the men of the Reformation and how they undid the abuses of the Bible by the Catholic Church, but the Reformation didn’t “reform” as much as you might think. Many traditions of the Church (Sunday worship rather than a Saturday Shabbat, the continued “gentilization” of Jesus Christ, the supersession of “the Church” in place of Israel) were maintained and survived to this very day in virtually all expressions of Christianity. So it’s quite possible if we view Hebrew Roots as a minor “reformation” of Evangelical Christianity to believe they didn’t reform as much as you might think, including holding onto some (but not all) of the traditions of the Church, such as how to interpret certain sections of the Bible. Interpretation of the Bible begins at translation, or so it’s said. I tend to believe that the first step in interpreting the Bible is how we already understand it based on who taught us our traditions. This is true whether you are a Baptist, an Orthodox Jew or operate in any other branch of Christianity or Judaism. I just want to be clear that I don’t consider myself some sort of “expert” in Talmud or anything else. What I do want to emphasize is that we cannot separate our understanding of the Bible from our “religious orientation.” Sure, we can change religious orientations and thus our understanding of the Bible, but with some difficulty. I changed from a more “standard” Christian hermeneutic, to a Hebrew Roots perspective, and then finally to a viewpoint formed from various teachers within a Messianic Jewish context. Does that make me right and everyone who disagrees with me wrong? Not at all. I have far more questions about the Bible and God than I have answers. I just want to point out that no one has raw, naked, unfiltered access to the Word of God such that they and only they know “the truth” about exactly what it says in every single detail. No Bible scholar worth his or her salt would make such a claim. That’s why Biblical research is ongoing and that’s why we study the Bible (hopefully) every day. This is like the African-American woman Tim Hegg describes in his comment on Vanhoff’s blog post, the one who believed that the Apostle Paul’s Bible was the King James translation. Her understanding (I have to assume based on limited information that this woman really did believe such a thing) is based on some sort of tradition she was taught and like many, most, or all religious people, tradition first became truth in her mind, and then absolute fact. Even when we’re aware that we are guided by our traditions, that awareness isn’t going to be enough to keep us from continuing to be driven by said-traditions for the most part. Yoda may have said “You must unlearn what you have learned” (as shown in this brief YouTube video), but that’s easier said than done. Maybe Luke Skywalker could do that under the Jedi Master’s guidance, but in real life, once we learn something, we are very likely to stick with it, even in the face of evidence to the contrary. Again, this isn’t a matter of one side being right and the other side being wrong. It’s a matter of all sides being guided and molded by tradition, even when we think we’re not. What we think is who we are. I think most Christians and Jews would agree that this passage of scripture is referring to the Messianic age when David, King Messiah, will rule as Israel’s “prince” forever. Jews believe this text also confirms that Messiah will build the Temple in Holy Jerusalem, while some Christians believe the Temple is only a spiritual manifestation rather than a physical structure. In the past several weeks, I’ve been challenged by a Jewish friend of mine to see if I can (or can’t) find Jesus in the Old Testament (Tanakh). Like most Christians, it’s difficult for me not to see Jesus in the Torah and the Prophets, but I want to be honest and actually make as much of an unbiased examination as I can. Interestingly enough, it was in last Sunday’s Bible study at church where some serious questions about Christian hermeneutics came up for me. I listened to my teacher explain some of the Jewish texts in a way that didn’t make sense. On the other hand, he had to interpret the scriptures in this manner if he was to locate Jesus there. In the Messianic Kingdom, God will fulfill the good news he has announced to Israel and Judah, in other words, the Jewish people. Peace will be established for Israel and there will be safety in Jerusalem. 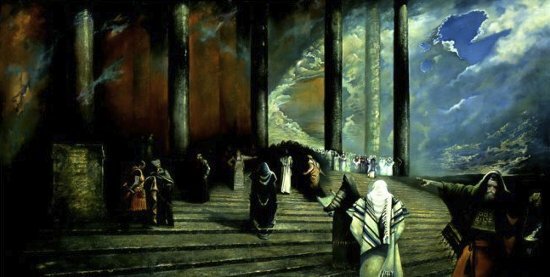 Messiah, a descendant of David, will sit on the throne of Israel forever and the Levitical priests will once again offer sacrifices in the rebuilt Temple. The descendants of David and the Levitical priests will be multiplied to a number that cannot be counted. Some Christians believe there will be a Temple and that sacrifices will be offered, but they believe Jesus, the Messiah, will be offering those sacrifices as a memorial (as opposed to an actual, functioning, sacrificial system). And yet, we see it is the Levites who will be sacrificing, not Messiah as a King-Priest. It’s understandable that the Priests would have families, children, and grandchildren across the future years but is this saying that Messiah also marries and has children (descendants)? Interesting, but I suppose you could also say that’s metaphorical and “David’s descendants” are the Jewish people. Waitaminute? What? Who makes an offering for his sins and the sins of the people? The prince? Who’s the prince? It can’t be Jesus because Jesus never sins. In the period here foretold, the worship and the ministers of God will be provided for; the princes will rule with justice, as holding their power under Christ; the people will live in peace, ease, and godliness. These things seem to be represented in language taken from the customs of the times in which the prophet wrote. Christ is our Passover that is sacrificed for us: we celebrate the memorial of that sacrifice, and feast upon it, triumphing in our deliverance out of the Egyptian slavery of sin, and our preservation from the destroying sword of Divine justice, in the Lord’s supper, which is our passover feast; as the whole Christian life is, and must be, the feast of the unleavened bread of sincerity and truth. “Then I will set over them one shepherd, My servant David, and he will feed them; he will feed them himself and be their shepherd. And I, the Lord, will be their God, and My servant David will be prince among them; I the Lord have spoken. But we are presented with a problem. The term “David” in Messianic prophesy, almost assuredly refers to Messiah, not literally David. Also, Ezekiel 37:24 refers to David as “king” and “one shepherd” which must certainly be Messiah. It also describes this figure as walking in God’s “ordinances and statues to observe them,” which can’t mean anything else other than Torah, which means for the Jewish Messiah and the Jewish people, the Torah of Sinai will still be in effect in the Messianic era and apply to all Israel. If we believe that the “prince” is the Davidic Messiah, that is to say, Christ, then Christians have a serious problem. How can a future Jesus Christ as King of Israel offer sacrifices for sin? Christians have to assign the identity of the “prince” either to another individual such as David or to a set of generic princes (who do sin), then it would be more appropriate for them to offer such sacrifices. But given what I said above, the prince can be none other than Messiah, at least if my teacher’s “proof texts” are really proof. Additionally, we have the matter of whether or not this is a “real” sin offering or simply a memorial, harkening back to days of old, and reminding us that Christ made the offering for sin once and for all with his body on the cross. If “Branch” is a name for the Messiah, then we seem to see him sitting on the throne as both King and Priest. Since Messiah is of the house of David and the tribe of Judah, where does this leave the Levitical Priests? Or does the Priesthood of Melchizedek (Hebrews 7) trump the Levitical priests both in the Heavenly Court and on earth? 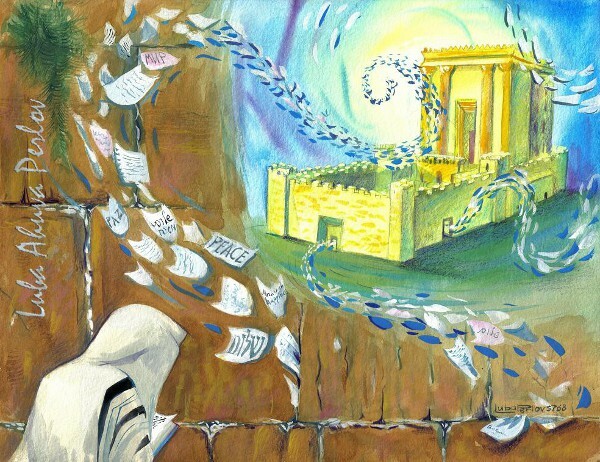 Ezekiel 43:2-7 was used by my teacher to describe the Divine Presence inhabiting the Temple in the future Messianic age but that creates an interesting situation for Christians. If the Divine Presence is God and Jesus is God and they’re both in the Temple how are we to understand this? How do they co-exist as two, separate physical entities within a single structure (the Temple)? These are just the examples that came to mind and that I took notes on during my Sunday school class (no, I didn’t breathe a word to anyone about what I was thinking). But can we prove, just from the Old Testament scriptures, that Jesus is Messiah and God? I’m not sure we can without factoring in the New Testament record and lots and lots of Christian theology and doctrine. No, I’m not going to throw my faith out the window, but try to look at all of this from a religious Jewish person’s point of view. In order to establish Jesus as Messiah King, we need to seriously morph the original meaning of the ancient scriptures that point to Messiah, the Temple, and the Priesthood. I don’t know that Occam’s Razor is the best hermeneutic tool to use, but if we accept that the most succinct and straightforward explanation in the bunch is probably the correct one, then Christians are obviously jumping through a few extra hoops to get Jesus to fit in all of the Messianic prophesies, at least Jesus as he’s understood in the modern Protestant church. The Tanakh doesn’t speak of the sacrifices in the Messianic era as being memorials, but indicate they are the sacrifices that would have been familiar to any Israelite in the days of the Tabernacle or Solomon’s Temple. Also, the same ancient Israelites wouldn’t have had a problem with King Messiah offering sacrifices for his own sins, since they would have believed any descendant of David would be as human as David and would thus have sin. Even the greatest tzaddik who ever lived wouldn’t be completely sinless, but given that Jesus is sinless, how are we to reconcile these differences? Obviously I’m playing, you should pardon the expression, “devil’s advocate” in this situation, but as I said before, I want to give this challenge an honest examination. I believe there are answers to all these questions, but I don’t think we can always rely on traditional Christian thought to provide those answers. 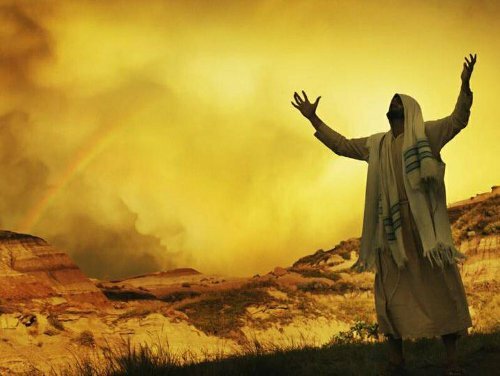 One of the messages presented by the First Fruits of Zion (FFOZ) television series, A Promise of What is to Come, is that the Bible and especially what we read about the coming Messianic age, the Kingdom of Heaven, seems to make a lot more sense when we look at the information from a more Jewish perspective. That’s the whole point of the television show. I will probably get some pushback from my Christian readers, but one of the reasons I can’t simply walk away from Messianic Judaism is that nearly twenty centuries of Christian reinvention of the Jewish Messiah and Jewish history has obscured much of the original interpretation and meaning to the Biblical text, both in the Tanakh and the Apostolic Scriptures. I will be honest and say that I have learned much from my Sunday school classes, but I’ve also been exposed to material that is hardly sustainable (if it’s sustainable at all) based on my reading of the Bible. I know we can’t always get the full meaning of what the Word is saying by relying on just the plain meaning, but how many knots do we have to tie in the string, and how many twists do we bend the pretzel in, before we divorce the Word of God from the “lips” of God? The next part of this series is: Trouble Breaking into Church with Messianic Prophesy. Look up Deuteronomy 30, Psalm 19, and Psalm 119 as just a few of the many examples of how the Torah was upheld, esteemed, thought beautiful, a source of wisdom, on, and on, and on, how wonderful the Law of Moses was. How did it get morphed in the late Second Temple period to be such a pain in the neck for the Jewish people? When I wrote those words, I was unaware that Question 13 of Schreiner’s book was titled “How Do Paul’s Negative Comments About the Law Fit with the Positive Statements About the Law in Psalm 19 and Psalm 119”. Before going on to that part of the book, let’s take a look at some revealing portions of the two Psalms in question. Who can discern his errors? Acquit me of hidden faults. I included the part where the Psalmist prays that God keep him from his presumptuous sins and so forth, since that plays into Schreiner’s answer. So I will meditate on Your wonders. This is a very long Psalm, so I’ll only include this short sample here, but you should really read it, if you haven’t already. It’s a virtual monument to the wonders of the Torah. I find it very refreshing. So how does Schreiner respond to his own question? Despite the initial appearance to the contrary, the psalmist does not contradict what we find in Paul. The writer of Psalm 119 recognizes that the power to keep God’s precepts comes from God. Autonomous human beings are unable to please God or keep his law (cf. Rom. 8:7). For instance, we read in Psalm 119:159, “Give me according to your steadfast love.” Life comes from God’s steadfast love, that is, from his grace and mercy. Human beings do not merit or gain life by observing the law. I don’t know why Schreiner continues to beat a dead horse except that it sounds good, but who said that just keeping the commandments apart from God’s mercy and grace grants life? I don’t see a lack of faith in either Psalm and frankly, I see these Psalms heaping gratitude and thanks upon God for all his gifts including His written word. Even John MacArthur, as I previously noted, cites Psalm 19 as an example and an inspiration for Christians to love and revere the Bible. Schreiner seems to need to denigrate and discount any positive depiction of Torah in the Bible in order to support his belief of Jesus totally killing the Torah at the cross and then appointing Paul as his head henchman, making him responsible for burying it. Paul’s negative statements on the law do not contradict Psalm 19 and Psalm 119. Paul emphasizes that the law puts human beings to death and never grants life to those who are unregenerate. Psalms 19 and 119 consider the situation of those who are regenerate. In that case, God’s commands by the work of his Spirit cast believers onto the grace of God, and God uses the commandments in conjunction with his Spirit to strengthen believer so that they rely upon God’s grace to please him. Schreiner just shot himself in the foot, maybe more than once. First off, he’s making an assumption that the Psalmist(s) is/are regenerate. Here, we could accuse Schreiner of eisegesis, that is, he’s reading his theology into the text in order to support his conclusions about Paul. Also, in constructing a rather convoluted explanation for how Psalm 19 and Psalm 119 don’t contradict Schreiner’s version of Paul, he seems to have forgotten about Occam’s Razor (not that this principle must always be applied to Biblical hermeneutics, but you can get just about any collection of contradictory data to “fit” if you weave a complicated enough tale). However, Schreiner has a much bigger problem. He contradicted himself. He said that it was possible for Old Testament Jewish people to be regenerate, to receive the Holy Spirit, and through faith and God’s mercy and grace, perform the commandments of the law in such a way that it is pleasing to God. 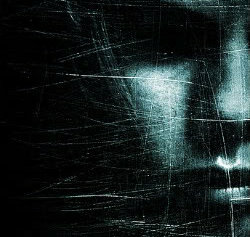 The purpose of the law is to reveal human sin so that it will be clear that there is no hope in human beings. The law puts us to death so that life is sought only in Christ and him crucified. Question 12: According to Paul, What Was the Purpose of the Law? I find Schreiner’s summary statement of his short chapter offensive because it discounts the lives and experiences of countless generations of Israelites, whose only purpose in life were to be human failures so that, once Jesus was born, aged a little past thirty, died, was resurrected, and ascended, that subsequent Jews and non-Jews could realize the futility of trying to please God by “works” and turn to Jesus and his grace. Poor Moses, Aaron, Joshua, Samuel, Solomon, and so on. They didn’t know their existence was meaningless and that they were just fodder to prove what worthless lives they led without Jesus, having to rely on a law that only increases sin and brings death. I wonder when that happened? Really, Dr. Schreiner. You can’t have it both ways and you can’t dance on the edge of a razor hoping that your readers won’t notice. Also, and I’ve said this several times before, it was never a function of the law to secure salvation, so this is a straw man argument. Schreiner, like many Christians, seems to be so focused on salvation, he believes that everything must be directly related to salvation or it has no purpose in God’s plan at all. He says that no one can keep the law perfectly or even adequately. He says that the sole reason for the law’s existence is to reveal man’s sinfulness in general and Israel’s sinfulness in specific. Further, he says that the purpose of the law was to actually increase sin in anyone attempting to keep it. And yet, the writer(s) of Psalm 19 and Psalm 119 was/were apparently completely fooled. In the days of Herod, king of Judea, there was a priest named Zacharias, of the division of Abijah; and he had a wife from the daughters of Aaron, and her name was Elizabeth.They were both righteous in the sight of God, walking blamelessly in all the commandments and requirements of the Lord. Schreiner is good about citing his sources and drawing from many different slices of the Bible to support his arguments, but he can’t fix the glaring inconsistencies that he chooses to ignore. How can the law be good but Paul still seemingly denigrates it? How can a Psalmist love the Torah if it only increases sin and produces death? How can the keeping of the law be pleasing to God by a “regenerate” Psalmist, but impossible for anyone to keep, even the Jewish disciples of the Messiah, in the late Second Temple period? I know Schreiner is attempting to craft a completely seamless and cohesive explanation that supports his view of the elimination of any value to the law, both in the Old Testament times and especially after the death of Jesus on the cross. This is classic Christian doctrine and has been used for countless centuries to support a supersessionist and anti-Jewish theology in the church. However, the theological hoops this author and scholar has to jump through to prove his case are so vastly complex that it stretches credibility to the breaking point and beyond. I’ll certainly continue to read this book to its conclusion, but I can’t imagine how Schreiner will pull the proverbial rabbit out of his hat in order to repair the damage he’s already done to his argument and his book. Thus the tales related in the Torah are simply her outer garments, and woe to the man who regards that outer garb as the Torah itself, for such a man will be deprived of portion in the next world. I mentioned previously that there is a strong temptation to take the Torah into mystical and spiritual realms since it seems that’s where it comes from. I also previously mentioned that Pastor Randy believes there is a pure and perfect Word of God that exists in the Heavenly Court and that the Bible we possess in our world, while it contains the Word of God, is not, in fact, the Word of God (ProclaimLiberty commented that indeed this isn’t a correct way to look at the Torah, though). As the Zohar states, we may consider our Bible to be merely a garment, an outer covering, but not the essence of its Holy contents. Fishbane, in Chapter 3, compares and contrasts Torah as mystic vs. mundane, if I can apply such a word to Torah. This is his response to the current trend in Bible studies to address and consider the Biblical texts from a purely literary perspective. This is the sort of viewpoint we find in Richard Elliott Friedman’s book Who Wrote the Bible?. Friedman carefully sifts through clues available in the text of the Hebrew Bible and those provided by biblical archaeology searching for the writer(s) of, primarily, the Pentateuch. He does so with clarity and engaging style, turning a potentially dry scholarly inquiry into a lively detective story. The reader is guided through the historical circumstances that occasioned the writing of the sources underlying the Five Books of Moses and the combining of these diverse sources into the final literary product. According to Friedman, the most controversial part of his case is the identification of the writer and date of the Priestly source. This book is neither comprehensive nor unduly complex, making it a good introductory text for beginners and nonspecialists. Recommended for all academic libraries. –Craig W. Beard, Harding Univ. Lib., Searcy, Ark. Copyright 1987 Reed Business Information, Inc. –This text refers to an out of print or unavailable edition of this title. Many modern Bible scholars are in love with the “JPED” theory of Old Testament (Tanakh) authorship, but in this approach, said-scholars all but remove God from the equation and reduce the Bible to a book written for political, religious, and personal motivations, rather than to impart the history and message of God’s interaction with human beings. However, mysticism is an equally difficult realm in which to thrust the Bible as it far exceeds mere “inspired Word of God” and goes into structures of comprehension that are supposed to transport us into the upper chambers of the Almighty. I personally know some people in the Hebrew Roots movement who immediately become offended and incensed at the mere mention of the “K-word” (Kabbalah) and the quote from the Zohar above is not likely to earn me any points with them. I’ve admitted before that I’m not mystic. I appreciate and enjoy some of the Jewish mystic writings as metaphors for certain spiritual truths, but I don’t take them as literal experiences. In fact, in an effort to understand something of the Christian mystical perspective, I recently read John A. Sanford’s book Mystical Christianity: A Psychological Commentary on the Gospel of John, however Sanford’s attempt to analyze this gospel from the perspective of Carl Jung and Jungian psychology seemed anachronistic and distracting rather than spiritually revealing. I do agree though, that if we look at the Bible just as a book, even a Holy and inspired book, and see only the nuts and bolts narrations, our understanding of the message God is trying to deliver to humanity will be extremely limited. The problem is, digging any deeper than the literal meaning of the text presents the danger of getting lost in either mystical byways or just our own imaginations. I started writing this series as an effort to explain what “keeping the Torah” means to the Jewish disciples of Yeshua (Jesus) but the “question behind the question” is “What is Torah?” That’s an amazingly difficult question to answer. But if we lack wisdom by considering a mitzvah as just a text on paper narrative (the commandment to visit the sick) or as a simple behavioral act (visiting a sick friend in the hospital), do we gain wisdom and insight and the deeper meaning of Torah by considering the study and performance of a mitzvah as a transcendent act that intimately connects us to God? As Fishbane progresses in his writing, he temporarily sets aside the mysticism of Torah to “put matters in a fuller historical and hermeneutic perspective.” (pg 36) Fishbane characterizes the Torah being viewed in ancient Israel as “the divine voice” spoken directly or indirectly through a number of “filters” (Prophets or more indirect signs and wonders). God’s revelations are expressed in the text as legal and ethical teachings presented across an epic narrative of the history of Israel and her relationship with God. However, if the text is treated too much like “text,” there is a danger of swinging the pendulum too far in the other direction and stripping the Torah of its divine origins and worse, reducing it to a set of anachronistic tribal laws that do not “travel well” going forward in time. 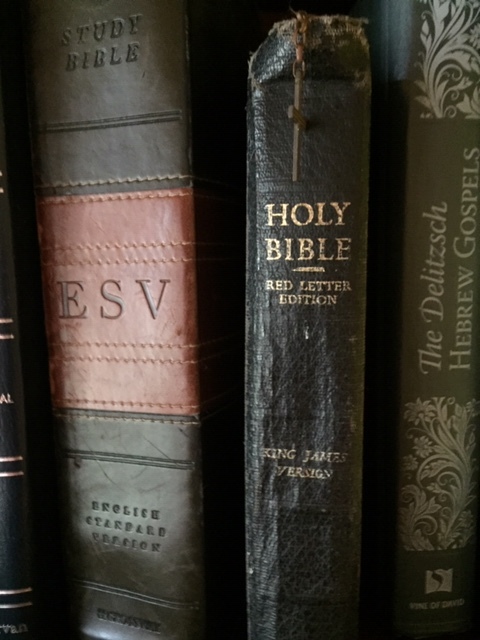 Of considerable importance in the sanctification of Scripture is that the prestigious literary canon of divine teachings had become a “closed literary corpus” – one culturally reopened only through human textual exegesis. So we stand between preserving the divinity of scripture as a romanticized mystical text and hermeneutically extending the Torah in order to adapt its divine truths to a constantly changing environment. I can imagine that neither perspective will be particularly appealing to most readers. I once criticized John MacArthur because I mistakenly believed he said that, in defining “Biblical sufficiency,” the Bible was literally the only book anyone would ever need to understand any topic. I’ve since learned that “sola scriptura” doesn’t quite work that way, though I’m still not a big fan of this method of considering the Bible. Fishbane however, explains that Rabbinic commentary takes the idea of “the Bible contains all there is” to a level that would make even MacArthur balk. 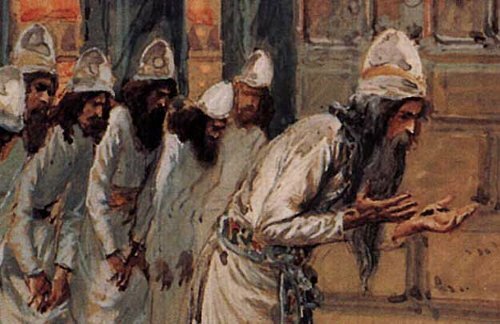 …the early Pharisees revealed unexpected possibilities in the original divine communication. It was gradually claimed that “all is in it” (Mishna Abot v.25) – or better, that all could be recovered from it if one but had the appropriate hermeneutic key. In considering my commentary on Boaz Michael’s teaching “Moses in Matthew,” I can only believe that under the inspiration of the Holy Spirit, the apostle Matthew “had the appropriate hermeneutic key” in extracting and applying portions of the Torah, Prophets, and Writings to the life of Messiah in ways that had not originally been presupposed (Hosea 11:1 to Matthew 2:15 for instance). 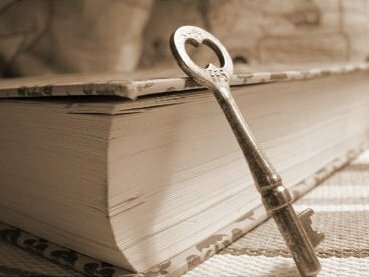 However, unless we assume that the Pharisees and the later Rabbinic Sages also had access to the same influences of the Spirit, can we believe that their “hermeneutic key” is just as “appropriate” as Matthew’s, and that it unlocked the same doors? I previously wrote a multi-part commentary based on the paper “Matthew 23:2-4: Does Jesus Recognize the Authority of the Pharisees and Does He Endorse their Halakhah?” written by Noel Rabbinowitz for the Journal of the Evangelical Society (PDF). In his paper, Rabbinowitz concluded that not only did Jesus recognize the halachah of the Pharisees but he acknowledged that they had the authority to establish valid halachah in Israel! This may be a bit of a stretch for most of you reading this, but if we allow Matthew 23:2-4 to act as a bridge between the inspired authority of the gospel and other New Testament writers and the subsequent Rabbinic authorities in Judaism, we may somewhat reasonably conclude that halachah established after the New Testament canon was closed was still tacitly approved from Heaven. This interpretation has tons and tons of problems (Rabbi Carl Kinbar posted a wonderfully insightful comment on this matter), not the least of which are the pronouncements of the Rabbis which are in direct opposition to Jesus and faith in him as Messiah, however dismissing this perspective out of hand denies not only the stated word of Messiah in the Bible, but the opportunity to view post-exile Judaism as possessing leaders who indeed did speak to and hear from God (which is historically what Christianity has done in the development of supersessionism for the past nearly twenty centuries). Returning to Fishbane and connecting him (temporarily) with Matthew, I believe that Matthew “encoded” certain information in his gospel that could only be decoded or unpackaged by an audience with the “appropriate hermeneutic key,” one that provided the traditional associations and interpretations to older sections of the Holy text. In addressing scripture, the Pharisees and the Jewish sages who followed them attempted to continue to unlock the pages of the scriptures using (inspired?) hermeneutic keys and amazingly, Fishbane acknowledges that Christianity has done the same thing. Surely you will have caught here more than a faint Jewish echo of the well-known “interpretatio Christiana,” by means of which Virgil and other pagans were accommodated by the Church Fathers into the normative Christian fold insofar as their writings were shown to “anticipate” the real good news — albeit through a glass darkly. OK, so it doesn’t sound like that much of a compliment, but it does compare the interpretative activities and methods of the Pharisees to the early church fathers conferring, if only by inference, the authority to said-church fathers to develop valid Biblical interpretations. Of course, I have to deliver the same caveat for some of their hermeneutic gymnastics (especially those that discount Israel and denigrate the Jews) as I do certain conclusions, rulings, and pronouncements by the Rabbinic sages that discount the Messiahship of Yeshua. …and thus to regard the uniqueness of Scripture as its capacity to teach simultaneously at various cognitive levels; the esoteric tradition of Judaism was concerned to encounter the presence of God, and thus to see the special sanctity and uniqueness of Scripture in its being at once a hieroglyph of the divine Logos and divine Reality itself. God is not merely present in Scripture through a kind of verbal displacement. God and Scripture are, in fact, one mysterious and inseparable Truth. What is Torah and how is it applied in the lives of New Testament Jews, both in the first century CE and today? The answer seems to travel in different directions. 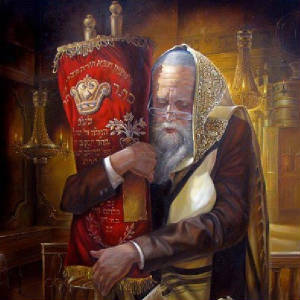 Torah is a bride and the Jewish people are the bridegrooms, and at the intimate urgings and involvement of the bridegroom, the bride begins to doff her garments and reveal her deeper mysteries and truths. Torah is a multi-layered, encapsulated, encoded set of pronouncements that at once present the details of moral, ethical, and legal standards and that, properly read, reveal the divine meaning lurking behind the words on the page, allowing the performance of each mitzvah not simply to be a “good deed” but an act of loving intimacy and devotion of the Jewish people to God. 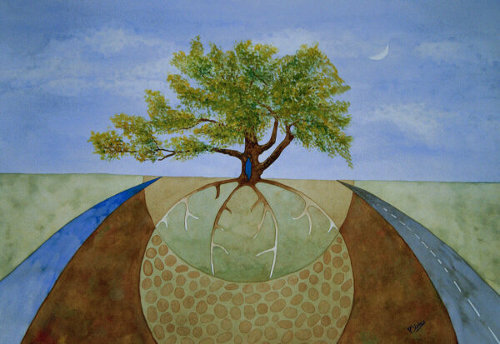 Mystic or hermeneutic pathways both leading to the same goal: the desire to draw nearer to the Creator. In this, I don’t mean to say that only Jews desire intimacy with God or that Christians cannot deeply occupy themselves in Torah and benefit from the experience, but the focus of this series has to do with the purpose of Torah in the lives of the Jewish disciples of Messiah. Thus, my focus must be on Torah as applied specifically to Jewish people. Pastor Randy recommended Michael Fishbane’s book The Garments of Torah to me more than once and I finally decided to buy it. He said he hasn’t read it in many years but recalls Fishbane’s book having a profound effect on him. I’m going to try to give you a taste of the effect it’s having on me. This isn’t a full book report. I’ve only read one chapter so far. Fishbane’s book is only 168 pages long but it’s hardly what you’d call “light reading.” The first chapter, Inner-Biblical Exegesis: Types and Strategies of Interpretation in Ancient Israel is dense with information and erudite in its writing, so I find I need to read slowly and carefully in order to grasp what is being said by the author. Hence my writing this blog post as a series of “notes” just to offer some of my impressions. It’s interesting though that I find a sort of association between what Fishbane is presenting so far and what I wrote about in The Jewish Gospel, Part 1 and Part 2. I want to say before proceeding that there is a likelihood that I’ll misinterpret some of what I’m trying to explain about what Fishbane’s is saying. In that case, I don’t doubt some of my more scholarly readers will step in and point out where and how I could do better. Thank you in advance for your efforts. One of the great and most characteristic features of the history of religions is the ongoing reinterpretation of sacred utterances which are believed to be foundational for each culture. So deeply has this phenomenon become part of our modern literary inheritance that we may overlook the peculiar type of imagination which it has sponsored and continues to nurture: an imagination which responds to and is deeply dependent upon received traditions: an imagination whose creativity is never entirely a new creation, but one founded upon older and authoritative words and images. It’s interesting that Fishbane uses this block of text to begin a chapter on inner biblical exegesis, since it summons images of learned Rabbis crafting new Talmudic interpretations of the Torah in response to the demands of a changing world. But Fishbane is discussing how later portions of the Bible were crafted based on traditional understandings of earlier portions, at least as I read this chapter. The rationale for doing so is also very “Jewish” (I say this last part for the sake of my Christian readers). …if not tradition’s realization that there is no authoritative teaching which is not also a source of its own renewal, that revealed teachings are a dead letter unless revitalized in the mouth of those who study them. If we don’t reinterpret (some might say “reinvent”) the Bible through the study and perceptions of the scholars and students of the present age, does it become a “dead letter?” Many people, both Christians and Jews, believe so, but clergy and scholars who are literalists tend to believe that reinterpretation throws out the baby with the bath water, and that making scripture more “relevant,” also robs the Bible of its power and holiness. But even this mythification of a chain of legitimate interpreters did not so much obscure the distinction between Revelation and Interpretation as underscore it. From this perspective, the interpretative traditions of ancient Judaism constitute a separate, non-biblical genre: a post-biblical corpus of texts which stand alongside the Sinaitic revelation as revelation of new meanings through exegesis. I know that’s going to disturb and even scare some folks. Fishbane is describing his views on how Pharisaic Judaism (which doesn’t have many fans in the church) attempted to minimize the gap between divine Torah and human interpretation by performing what I have called the rabbinization of Abraham. From an outsider’s point of view, it seems this must require more than a little sleight of hand and violates any sort of sola scriptura approach. From this perspective though, the early Rabbis could be considered the “guardians of Torah” and according to Fishbane, the discovery of the Qumran documents may lend credence to the idea that the foundation texts upon which the later portions of the Tanakh (Old Testament) were written have already been interpreted and such “scribal intrusions” actually open a window and allow us to look into both the world of the early Torah authors as well as those who came after them. Examination of newly recovered ancient texts and how they comment on even older texts illustrates a process where the scribes, interpreters, and traditions became integrated components of Divine revelation. The process of the intercultural transmission of traditions may be considered one of the primary areas in which authoritative teachings or memories were received and revalued for new generations. Recall in my commentary on Boaz Michael’s presentation Moses in Matthew how this process was illustrated by the apostle Matthew. Knowledge of traditions about the Creation and Moses being drawn from the water and parting the Reed Sea were a necessary component of correctly interpreting the deeper meaning of Jesus walking on water (see The Jewish Gospel, Part 1). Earlier Biblical text and the traditions surrounding how those scriptures are interpreted seems to be woven into the fabric of the apostle’s Matthew 14:22-33 account. For if scribalism points to the fact that ordinary textual ambiguity or openness may serve to catalyze commentary and that these supplements, when incorporated into the received text, reflect the cultural dynamics of transmission, then law and theology, where the frequent incomprehensibility or non-comprehensiveness of divinely authorized rules requires human exegesis and expansion, offer an even richer sphere of study. I can see two ideas coming from that one sentence. 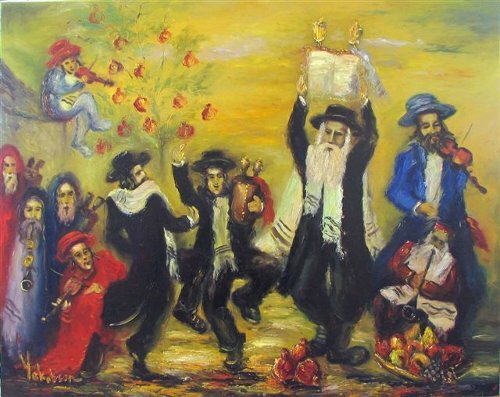 The first is that the uncertainty about particular laws in Torah and how to actualize them may have actually enhanced discussion among sages and scholars resulting in developing a tradition on how to perform the mitzvot based on those commentaries. Tradition first becomes the lens by which Torah ambiguities are examined and finally becomes an element of the revelation itself (though a separate “genre” existing alongside scripture, according to Fishbane). But Fishbane can also be saying that one older section of the Bible such as a prophesy can be refactored and applied anew to a later occurrence, such as Matthew referencing Hosea 11:1 and applying it to Jesus in Matthew 2:15 as possibly based on the ambiguous interpretation of the older scripture. Not only does tradition resolve Biblical ambiguities but it allows for older prophesies to be reinterpreted in such a way that later portions of the text can connect back to entire ideas and images associated with earlier writings. The terse formulation prohibiting Sabbath labor found in the Decalogue, Exod. 20:18-21, is taken over virtually verbatim in the Mosaic citation of it in Deut. 5:12-14…But even Moses’ recitation of the ancient rule…does little to explicate the details of prohibited work. Fishbane suggests that the ambiguity regarding forbidden work on the Sabbath was later addressed in passages of Jeremiah in an attempt to achieve a resolution (see Jeremiah 17:19-27). Attempting to go into more detail would just result in me either including longer quotes from Fishbane’s chapter or essentially rewriting Fishbane in this blog post. The point is to get you to turn your attention to his book so you can see what you think of his viewpoint for yourself (Well, that’s not the whole point of me writing this. I’m also just trying to get my brain around this topic). As an example, we may consider 2 Chron. 15:2-7, a speech which one Azzariah ben Oded delivers an oracle to King Asa of Judah. This prophetic discourse (as also the prophet in whose name it is spoken) is unknown to earlier biblical sources, and appears to reflect the pseudepigraphic handiwork of the Chronicler who has woven together several strands of tradition in order to confront his contemporary readership (in the Persian period) with a matter of “prophetic” concern to him. This seems to harken back to books such as Who Wrote the Bible by Richard Elliott Friedman which considerably blur the lines between God-inspired text and the human, social, and political requirements of the authors involved. The tradition for interpretation of the text ultimately becomes part of the revelation itself and we can’t always see where the inspiration of God leaves off and the authorship of the actual human writers (and their various priorities) begins. We only know that how the Jewish people came to understand their Bible scriptures (which is certainly true by the time of Jesus) was inseparable with the interpretative traditions of the text itself. In fact, those traditions were well used by later Jewish Bible writers such as Matthew (and I mentioned this earlier) in order to communicate important ideas to the audience. To do away with those traditions involving inner-biblical exegesis and return to a strictly literal reading of the text in isolation both from tradition and other sections of the Bible, strips away the vast majority of the meaning from what the Bible is communicating. It becomes virtually impossible to understand what Matthew is really writing about Jesus unless we A) refer to previous sections of the Bible, and B) engage the interpretative traditions associated with those older portions of scripture as applied to the later texts. Seemingly agreeing with the Moses in Matthew presentation and Boaz Michael’s viewpoint, Fishbane tells us that referencing these older sections of the Bible in later writings re-contextualizes them to apply to (apparently) people and events to which these older scriptures didn’t originally reference (the aforementioned Hosea 11:1 and Matthew 2:15). And those are my notes on only one chapter made up of fifteen pages in Fishbane’s book. Not the most amazingly cohesive blog post I’ve ever written, but then there’s quite a lot to digest. 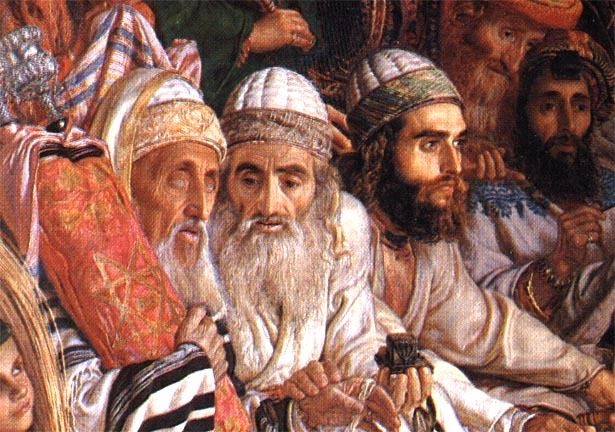 However, when compared to other opinions and ideas about the Jewish view of the Bible, and particularly the Jewish view of the midrashic linkage between the Tanakh and the apostolic scriptures, we should experience several “Ah-ha” moments in our understanding as the ideas from The Garments of Torah begin to sink in. I’m looking forward to the rest of Fishbane’s book. Addendum: I know I’m probably playing fast and loose with Fishbane’s chapter, but these are more my impressions about what I’m reading and the associations sparked by his writing, than a detailed, “nuts and bolts” analysis.